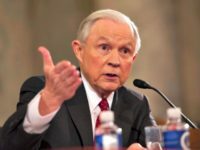 Despite the fact that Attorney General Jeff Sessions repeatedly outlined the conversations he said he had with Russian diplomats during the course of the 2016 presidential campaign, Senators at Tuesday’s Senate Intelligence Committee repeatedly peppered Sessions with various forms of the same question — whether he had met with Russian officials during the course of the campaign. TEL AVIV — Amid reports that President Trump’s son-in-law and senior adviser Jared Kushner allegedly talked with Russia’s envoy to the U.S. about setting up a back channel for communications, it may be instructive to recall that representatives for Barack Obama’s 2008 presidential campaign reportedly established a back channel with Iran. 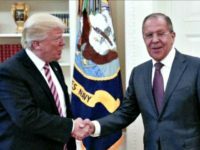 President Donald Trump met with Russian Foreign Minister Sergey Lavrov and Ambassador Sergei Kislyak at the White House on Wednesday. 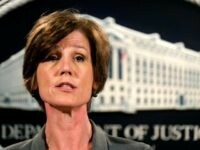 President Trump suggested to Senators on Monday morning that they ask Sally Yates, former Obama administration deputy attorney general and acting attorney general in the Trump administration’s early days, how classified information she went to the White House counsel with got leaked to the media soon after.